Tour announcements always make Mondays less gloomy. 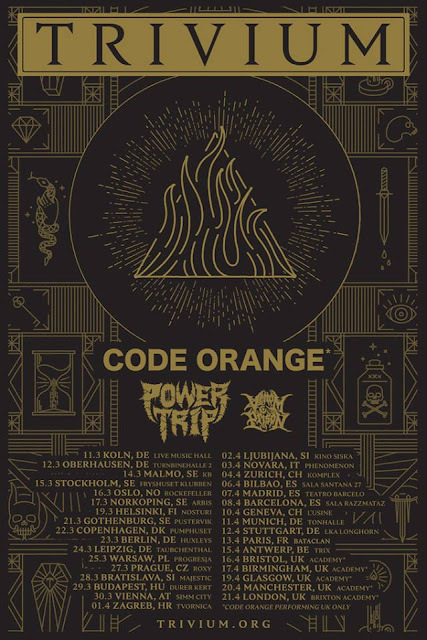 Trivium will be returning to Europe this coming March with Power Trip, Code Orange* (UK only) and Venom Prison. Tickets go on sale Friday, November 10th.